Come celebrate our 4th Annual Event where you never know who might show up. 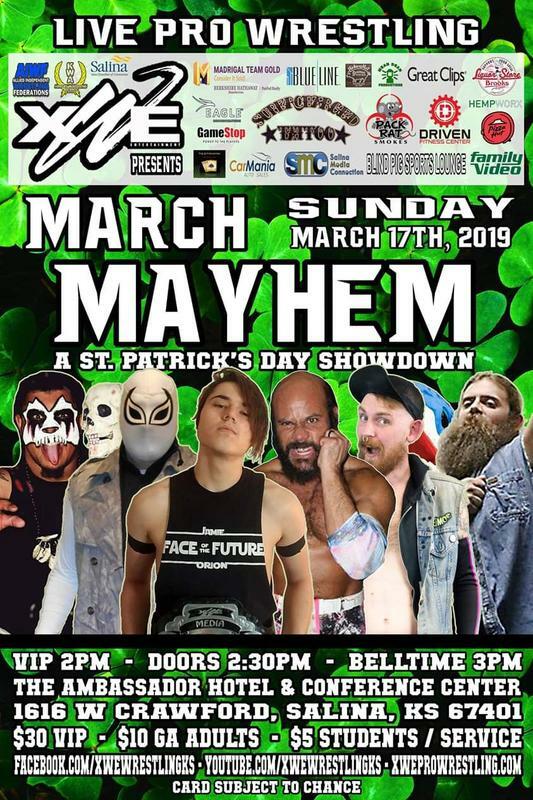 St. Patrick's Day the XWE way. Desire.......Fury.....Drive.....Passion.....Do you have what it takes to be the best?? 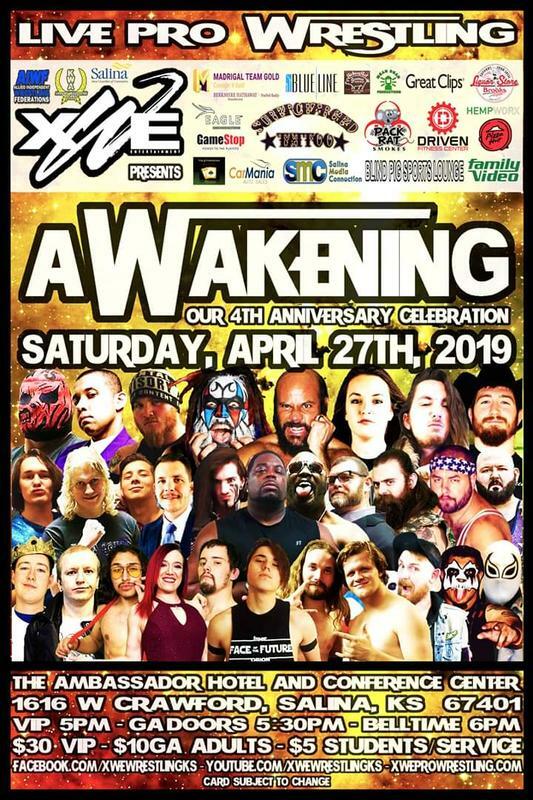 XWE ENTERTAINMENT BRINGS YOU LIVE PROFESSIONAL WRESTLING FOR THE LAST TIME OF THE YEAR! 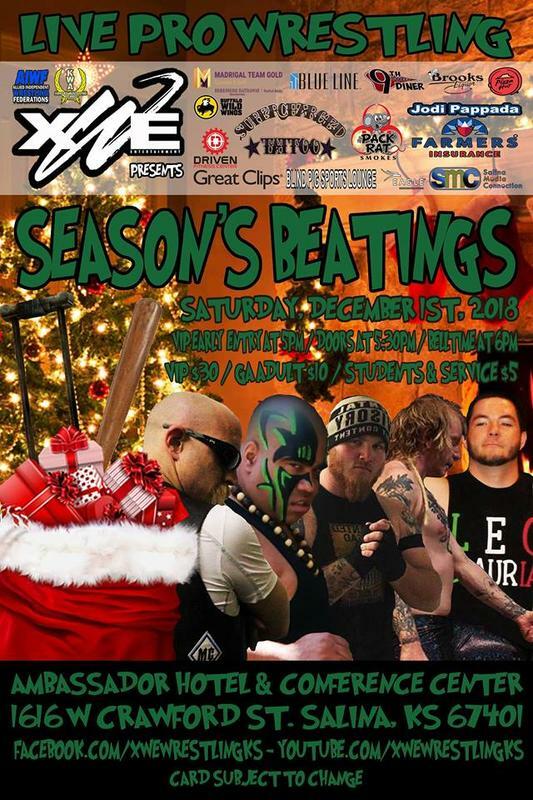 XWE finishes their 2018 season with SEASONS BEATINGS. 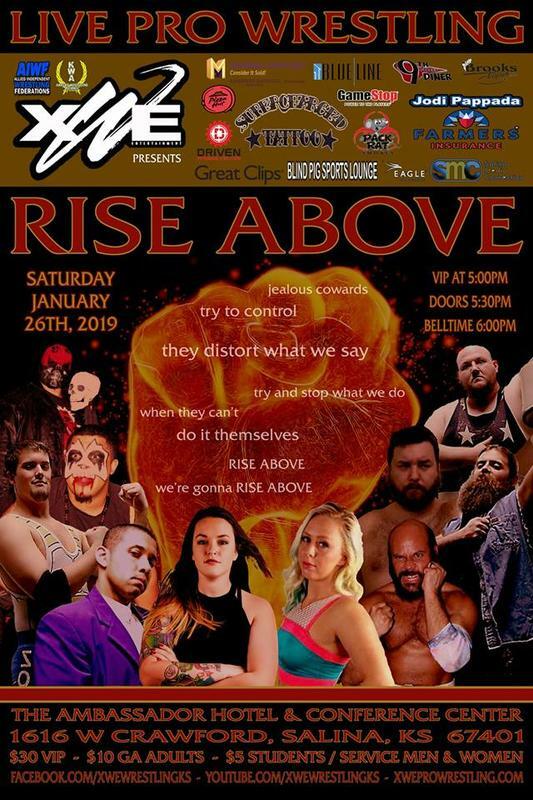 Hosted at the XWE Arena, Inside the Salina Ambassador Hotel! 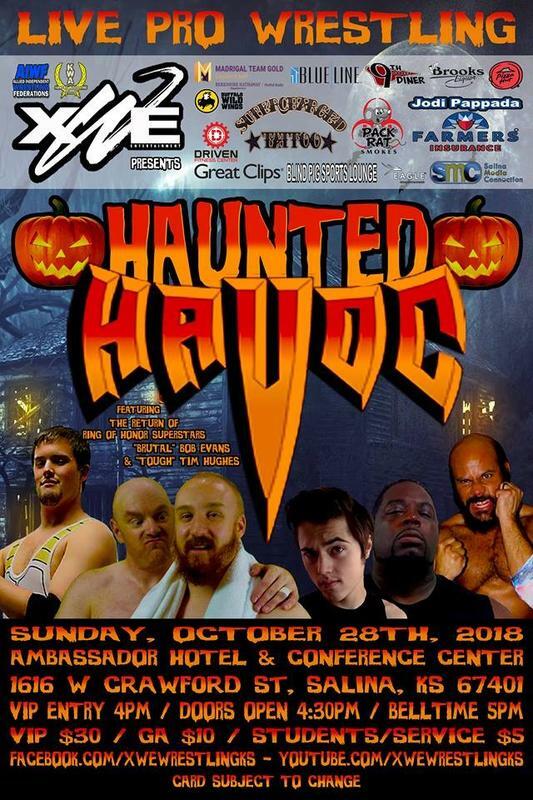 Featuring RING OF HONORS “Tough Guy Inc” Brutal Bob Evans and Tough Tim Hughes return to the XWE arena at the Salina Ambassador Hotel for the biggest show of the year! 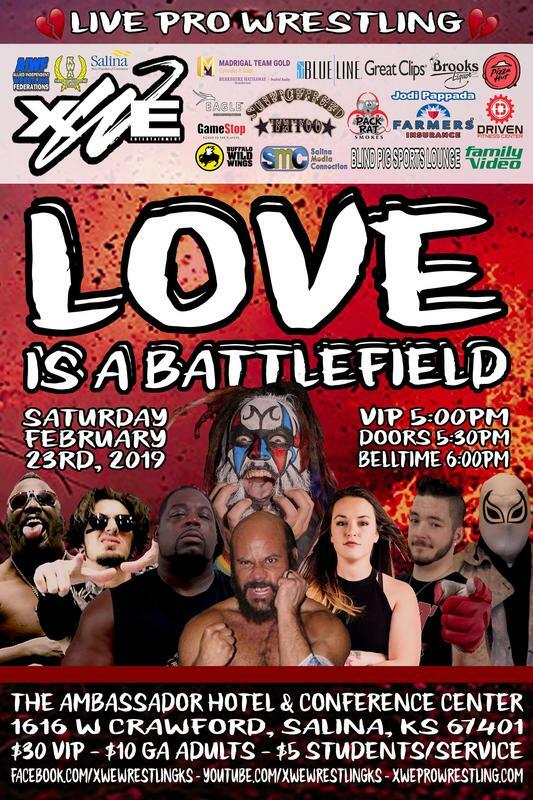 witness the premier brand of professional wrestling in Kansas!